Researchers at the University of Utah have created a new experimental controller that sends force-feedback back directly to your thumbs. If you own a PS3 or an Xbox 360, the prototype controller might look familiar, but in the middle of the thumb sticks you might notice a pair of eraser-sized red nubs. These IBM TrackPoint-looking protrusion are called “tactors” that are designed to tug at your thumbs for some seriously fine-tuned force-feedback. The tactors push against the surface of your thumb to simulate the recoil of a gun or the feel of the swaying push from ocean waves. The researchers demonstrated their controller with a fishing game in which the tactors allowed the players to feel the tug of the fishing line as though it was real. Force-feedback has been around since 1997 when Nintendo introduced the Rumble Pack for the Nintendo 64 controller. However, even with the multi-zone rumble found in DualShock 3, force feedback today is limited to varying amounts of vibrations. Tactors could provide a whole new world of haptic feedback that is much more subtle and directional than what's out there now. Imagine playing a round of Battlefield 3 where you actually had to fight the controller to control your gun’s recoil, a racing game where you could feel the car’s body roll in a tight corner, or a game tugging you toward a certain direction instead of giving you an objective marker. The point of the tactor controller is to add another level of immersion for gamers. Assistant professor of mechanical engineering William Provancher told the University of Utah News Center, "we have developed feedback modes that enhance immersiveness and realism for gaming scenarios such as collision, recoil from a gun, the feeling of being pushed by ocean waves or crawling prone in a first-person shooter game." Provancher and the other researchers hope that this technology will make its way into the next generation of game consoles. The team also wants to adapt the controller design into a smartphone peripheral device similar to the iCade for iPhone. The new controller is currently being shown off at the Institute of Electrical and Electronics Engineers' Haptics Symposium. 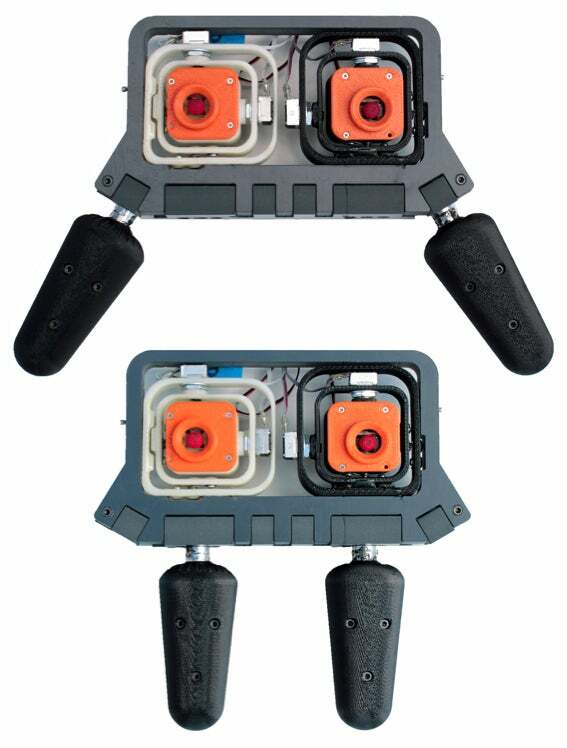 The researchers also hope to show off their tactor-equipped controller at this year's Game Developers Conference--which we are covering extensively over at our Game On blog, so stay tuned.